KIEV, Ukraine -- The current international situation allows Ukraine to build a new format of cooperation with three key global political, financial and economic centers – the European Union, the Customs Union of Russia, Belarus and Kazakhstan, and China. The United States, as a matter of fact, are the part of the western space and provide new opportunities for Ukraine through the Association Agreement with the EU. The signing of the Association Agreement with the EU (AA) supplies Ukraine with the whole cascade of opportunities which are extremely important for the creation of the competitive state in the present world political and economic environment. Ukraine won't be able to receive a similar impulse to development independently. Ukraine's joining of the market of 500 million consumers, and additional opportunities of access to financial resources and modern technologies will give the country every chance for successful modernization in the 21st century. First of all, the AA will make available new trade opportunities. 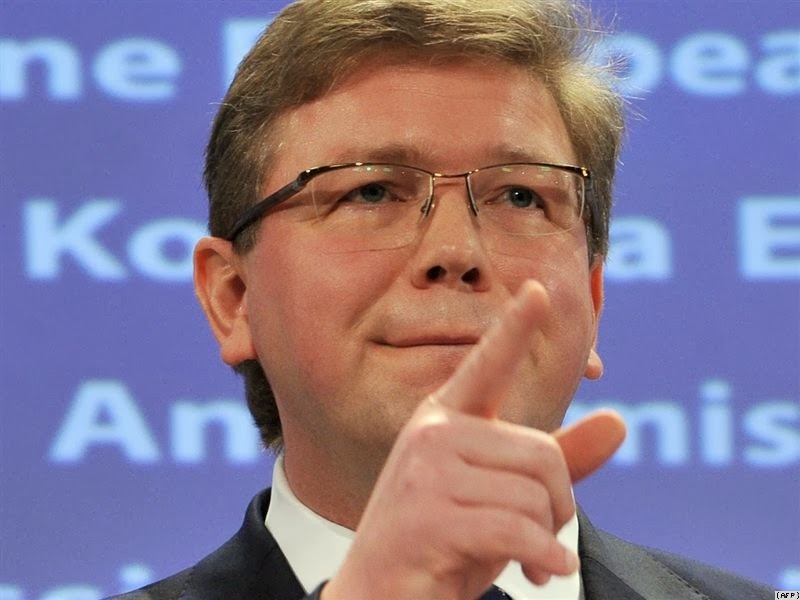 The EU Commissioner for Enlargement and Neighborhood Policy Štefan Füle predicts an increase of around 6% of the annual GDP of Ukraine after the AA signing. Thus, Ukrainian producers will be granted transitional provisions, which will give the Ukrainian economy time (up to 15 years in different spheres) to adapt to the EU standards. After the start of over 90% of provisions of the Free Trade Area (FTA) between Ukraine and the EU (which is a part of the AA), many Ukrainian exporters will receive new prospects, instead of declining competitiveness because of the narrowing of access to the Russian market. For example, according to the representative of the Ministry of Economic Development and Trade of Ukraine Elena Melnyk, the liberalization in the trade sphere will cover 97% of tariff lines. And the remaining 3% which have to do with the sphere of agricultural goods will be offered duty-free import of certain volumes of goods. On the whole, according to general calculations of both parties, as a result of the FTA start between Ukraine and the EU, Ukrainian exporters will save up to €487 million ($657 million) annually, and European - up to €391 million ($527 million). The Ministry of Economic Development and Trade of Ukraine notes that the FTA with the EU provides cancellation of import duties for the most part of goods, 82,6% - Ukraine, 91,8% - the European Union. And when it comes to the most sensitive groups of Ukrainian goods (about 15%) the EU establishes access to its markets within duty-free tariff quotas. According to the government of Ukraine, the agricultural sector will get advantages in the form of reduction of import duties by €330 million ($445 million) for agricultural products and €53 million ($72 million) for the processed agricultural products. Transition to new standards will stimulate opening up of manufacturings, introduction of new technologies and attraction of investments. Despite Ukraine's successful advance on the way to European integration, Russia continues its fight for Kiev trying to attract it to its projects – the Customs Union (CU) and the Common Economic Space (CES) with plans of creation of the Eurasian Economic Community by the end of 2015. Supporters of Ukraine's integration with the Russian Federation (the Communist Party of Ukraine among political organizations) claim that in case of entering the CU and CES, Kyiv will receive 6-10 benefit from a positive effect to the tune of $6 to $10 billion (€4.4 to €7.4). Their arguments include opportunities of growth of Ukrainian export to the Russian Federation by $5 to $9 billion (€3.7 to €6.6), the cancellation of export duties on hydrocarbons within the CES (which can bring up to $3 billion, or €.2 billion), the full loading of the Ukrainian gas transmission system, the cancellation of protective and technical barriers in trade with the CU countries. However, the majority of these arguments appear unconvincing taking into account Russia's relations with Belarus which is a part of all Russian integration associations. Thus, Minsk regularly faces "trade wars" on the side of Moscow; energy resources (first of all, oil and gas) were removed from the framework of the Customs Union by the Russian Federation; and Moscow continues to rigidly use protectionist measures against the Belarusian export, trying to seize control over the most attractive Belarusian assets via the mechanism of privatization. The similar algorithm has been already applied, and will be used further on in relation to Ukraine no matter which choice of the integration way will be made by Kiev (in 2013 the goods turnover with the Russian Federation has already fallen by 25% amounting to $19 billion, or €14 billion). Even in case Ukraine switches the vector of integration from West to East, Russia won't cease applying economic pressure, until it receives complete control over Ukrainian assets. In the context of Ukraine’s options, Beijing can be the ideal supplemental partner for Kiev. With the signing of the AA between Ukraine and the EU, China will get new opportunities for development of the all-European market through the organization of joint ventures on the Ukrainian territory. According to recent information from the Ministry of Revenue and Duties of Ukraine, Ukraine-China economic relations are on the rise. In particular, the share of export-import transactions with China makes up about 8% from the total amount of goods turnout of Ukraine and is on constant increase. Over the first eight months of 2013 the goods turnover between Ukraine and China has made up $7,3 billion (€5.4) which is 16,6% more by $1 billion than the similar period of 2012. Foreign trade between Ukraine and China grows at the expense of increase of both import (by 9,2%) and export (by 46,6%). Besides, recently Chinese state corporation "Xinjiang Production and Construction" has leased nearly 3 million hectares of land for food cultivation for 49 years. Thus, China starts playing a balance role for the relations with the EU and Russia in Ukraine's foreign economic activities, and allows diversifying the Ukrainian presence at the international markets. Profound development of relations with the EU, preservation of close cooperation with Russia and the CU countries, and also dynamic growth of trade and economic relations with China can become a new success formula for Ukraine in the XXI century.